I was introduced to Jong Jong as “the best brunch spot on the island.” Though I was initially skeptical of this proclamation, time and time again Jong Jong proves this claim true. Jong Jong is a small restaurant in Shin Jeju that serves melt-in-your-mouth western-style food. The food isn’t the only good thing about Jong Jong. The restaurant is run by a lovely couple: Jong A and Jong Keun, the namesakes of “Jong Jong.” The couple lived in London for a handful of years where Jong Keun studied Culinary Arts and Jong A studied luxury brand marketing. Their studies marry really well into Jong Jong’s masterfully trendy atmosphere and delicious food. The brunch options are very authentic western brunches from a croque monsieur to a full breakfast plate with sausages and roasted tomatoes. From the first bite, it is obvious the chef has experience of cooking outside of Korea. 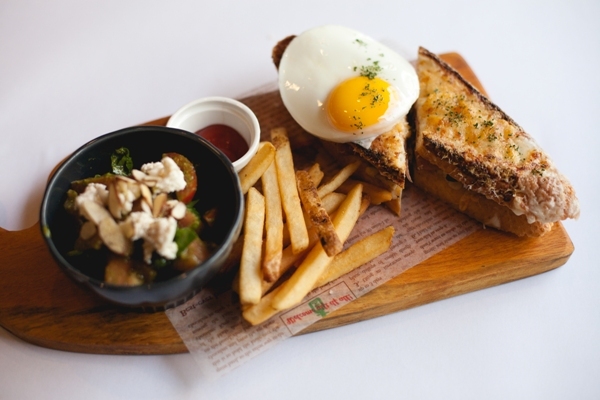 For many westerners, these meals are akin to sampling their favorite brunch spot back home. The meals aren’t greasy breakfast foods, but instead beautiful plates filled with fresh ingredients. A small salad accompanies the croque madame with fresh tomatoes and homemade pesto that is out of this world good. 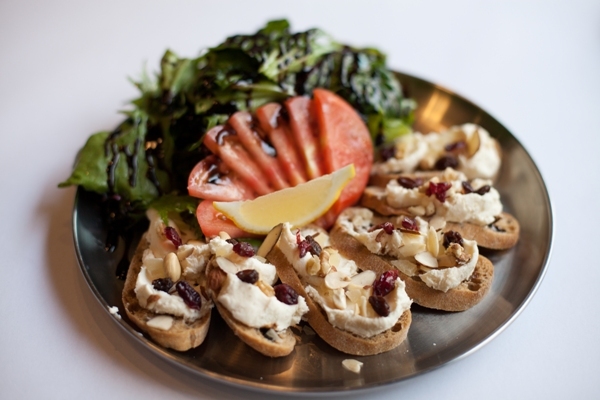 The ricotta cheese salad includes a thick and creamy homemade ricotta spread over pieces of toast topped with raisins and nuts next to a bed of greens with a balsamic glaze: fresh and filling. Jong Jong serves the kind of versatile meals that leave you pushing your favorite bits to the side to save for your last bites. Though their brunch menu is a personal favorite, Jong Jong doesn’t stop there. They also serve pastas and burgers that are great for lunch or dinner. All of the meals at Jong Jong leave you feeling satiated without feeling like you’ve gorged. They get everything right from the portions, to the pairing, all the way down to the presentation. Jong A and Jong Keun make you feel welcome and seem excited about the food they serve. Even without the delicious food, their friendly faces are enough to keep you wanting to return again and again.